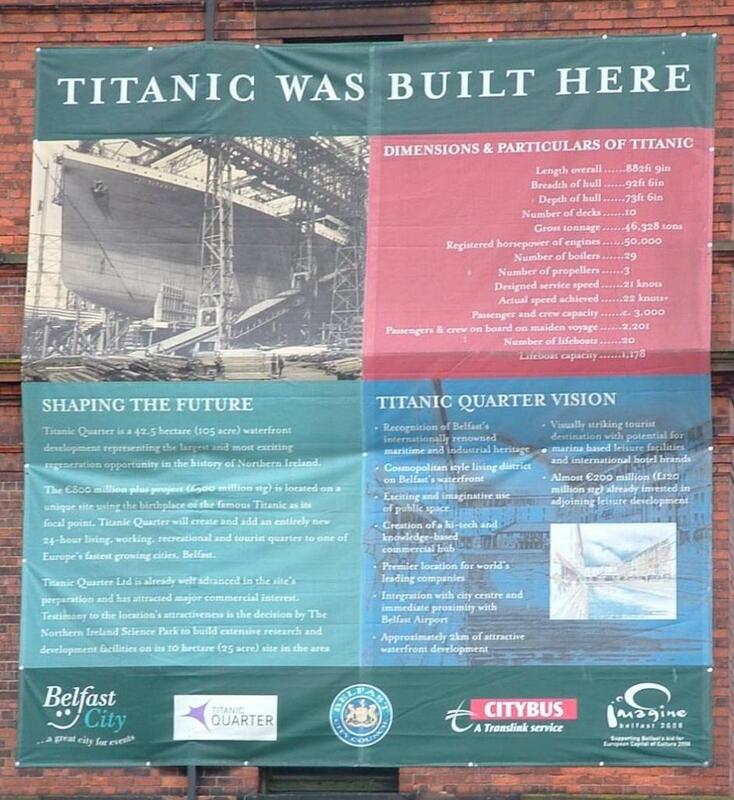 Description: Close up of sign on Main Office building, declaring that Titanic was built nearby. Only evidence Titanic was built here, nothing else to show for the most famous ship in history. Slipways where Titanic, Olympic and Britannic were built are out of bounds to public (nothing there except empty tarmac, anyway). Whole area supposed to be being redevelped by Titanic Quarter, but they're a bit short of money to do it!